Our financial information service supplies a real time forex mid price indicator (which changes rapidly with market conditions) and a spread indicator (which changes gradually). The mid price indicator is constructed every second by analyzing the distribution of the high flux of tick by tick quotes received by us in the past 1 second interval from banks, institutions and trading platforms across the world. The spread indicator is constructed as a longer term moving average from the same high flux of world data but changes more gradually (in the range of minutes). The spread indicator is inversely related to liquidity and market participation. A sudden increase in the spread indicator during normal trading hours can be indicative of a high risk perception triggered by some news or announcement. Linux has ssh available by default. See here to automate password entry and advanced Linux guidance. 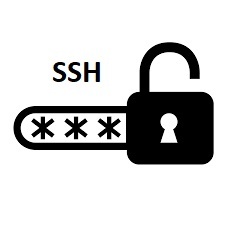 Windows users can download one of several free ssh clients. For a quick start we recommend downloading Putty. 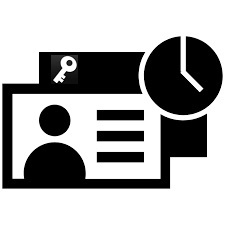 See here to automate password entry and advanced Windows guidance. All major and several minor currency pairs covered. You can add or remove currency pairs at will through the online management system and also change the frequency of updates. The subscription length will be adjusted accordingly. This is a white label and no-frills service from a major supplier. Data quality and 24/7 service continuity are our top priorities. Individual client support is limited. Pricing is currently very low as a promotion. We are committed to keep the service at a mass affordable level. Seller is not liable for any loss or damage arising out of the use of the data. Seller indemnifies buyer against any third party claims of intellectual property rights for use of the data. by email immediately following purchase. Login with the purchased credentials. By default you will start receiving EURUSD data at 1 second frequency. While your login is active please login a second time (with the same credentials) to access the management system. The second login will allow you to modify your symbol list and/or frequency. After each mutation your data feed will immediately restart with the new configuration. (The restart will not interrupt your ssh connection). This system will also allow you to apply a purchased License Key and extend your subscription. Key Value: Receive 1 symbol at 1 second intervals for 30 days. (Equivalent values as noted in table at right). Validity will not extend beyond specified expiry date. available in the first week of each month. and then respond to the management script. Licensing is based on the Honor System. Individual End User: gives a single person the right to use the data (whether professional or non-professional). No sharing of data permitted with any other individual. No display rights on a public or login restricted web site. Rights cannot be transferred, inherited or resold. Business N End User: gives up to N employees of a single registered entity the right to use the data (internally redistributed) after access via a single login. No sharing of data permitted with clients or any employees beyond the N selected employees/partners of the registered entity. Selected N employee set may be reassigned by management on daily basis. No display rights on a public or login restricted web site and no product embedding. Rights cannot be transferred or resold. Try the demo by logging in via ssh on port: 6174 as user: rt01.demo on server: rt01.rtfxd.com with password: rtfxd. The demo displays data with limited precision and exits after running for 100 seconds. The purpose of the demo is to help the user to test ssh connectivity and get a first impression of the service. (It is not possible to access the management system with the demo). Number of service days with 1 license key for a fixed setting of frequency and number of symbols. (These settings can be changed, on the fly, using the management system so the actual number of days a license key lasts will differ depending on the history of changes).